Simple, easy and delicious! A great way to use up fresh garden vegetables in the summer. 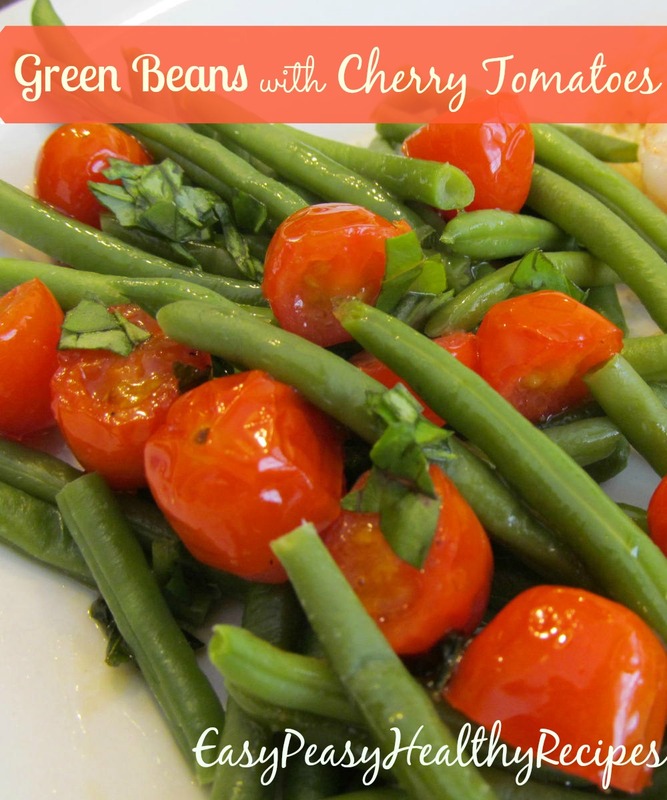 The fresh green beans and cherry tomatoes combine together to not only taste great but also looks beautiful. The buttery garlic basil sauce tastes fantastic with the green bean and tomato mixture. This healthy recipe is delicious and easy to make and pretty enough to serve to guests too! 1. Place beans and water in a large saucepan. Cover, and bring to a boil. Set heat to low, and simmer until tender, about 10 minutes. Drain off water, and set aside. 2. Melt butter in a skillet over medium heat. Stir in garlic, pepper and basil. Add tomatoes, and cook stirring gently just until soft. Pour the tomato mixture over the green beans, and toss gently to blend.